Caveat: This book is a sequel to Out of Focus and is better if read in order. I have been hooked on Nancy Naigle's Adams Grove series of novels since the first book, Sweet Tea and Secrets. Her current entry to the series, Pecan Pie and Deadly Lies is perhaps my favorite one of the bunch. 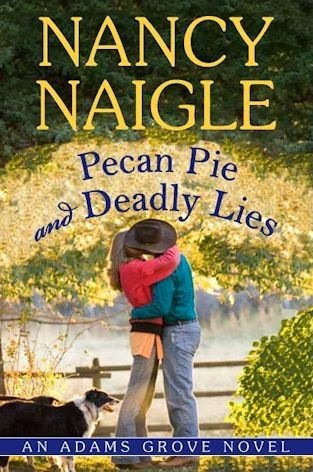 As the first three books in the Adam's Grove series, Pecan Pie and Deadly Lies is a love story with a mystery throw in, a genre which Nancy Naigle is a master at. As Pecan Pie opens, photographer Kasey Phillips is living on her farm outside of Adams Grove. She is still a photographer, still raising her son, and still best friends with the local Sheriff, when Country superstar Cody Tuggle calls to ask if he and "the boys" can stay at her place for a few days during a break in their current tour. Once there, he and Kasey rekindle the feelings that were unresolved at the end of Out of Focus, while Kasey was traveling with Cody to work on a book of photographs about his tour. While there, someone murders Cody's agent and makes sure that the evidence points directly to Cody. Cody heads home to Oklahoma to sort things out, taking Kasey and her son Jake with him. I have read all four of the Adams Groves novels, and while I liked them all, I think my favorite so far is Pecan Pie and Deadly Lies. What makes this my favorite is a couple of things. First, it brings back two of my favorite main characters from the second book, Kasey and Cody. Secondly, in this book, as in the first Kasey and Cody book, the balance between the mystery story line and the romance story line was perfect. This is a skill that Nancy Naigle has perfected as the Adams Grove series has progressed. 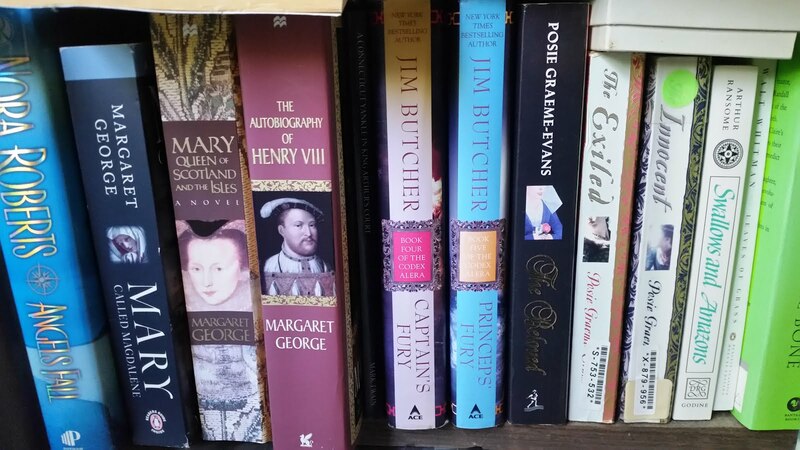 As with the other books from Adams Grove, this story was also peppered with an excellent cast of supporting characters. Nancy is a master at developing characters, giving them personality traits and behaviors that make them very real, and at integrating them into the story in a way that makes them integral to the story. I became especially fond of Cody's mother, Denise. I also really like the way that Nancy takes supporting characters from her books and makes them the main characters in further editions in the series. I can think of several characters in this book that I would like to see that happen to. All in all, I would class this book as another enjoyable read from Nancy Naigle and a must read for those who love the combination of romance and light mystery. If you haven't yet read any of the Adam's Grove novels, I would recommend them all. I hope that Nancy Naigle has many more Adams Grove books up here sleeve. I know she has a least one more, Mint Julep and Justice, which I will be reading soon and reviewing.